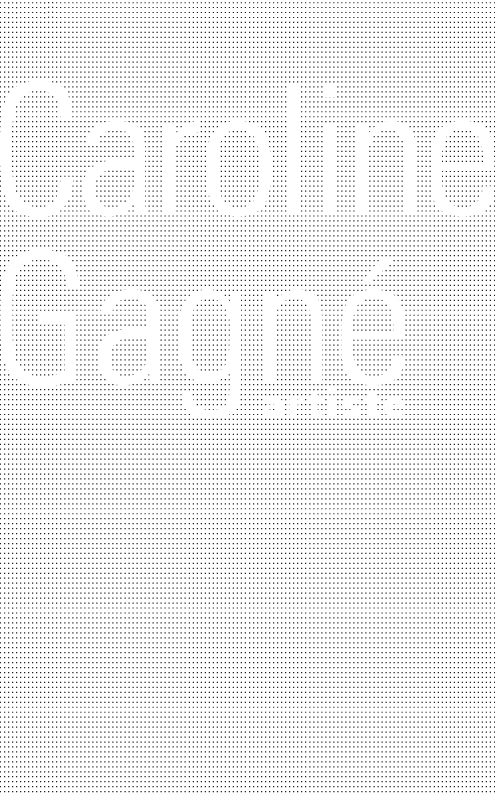 Through their collaboration, artists Patrice Coulombe and Caroline Gagné explore dialectical situations between the medium of the image and that of the sound. By attempting to bring together the perspectives of space and time, they imagine possible transitory venues. 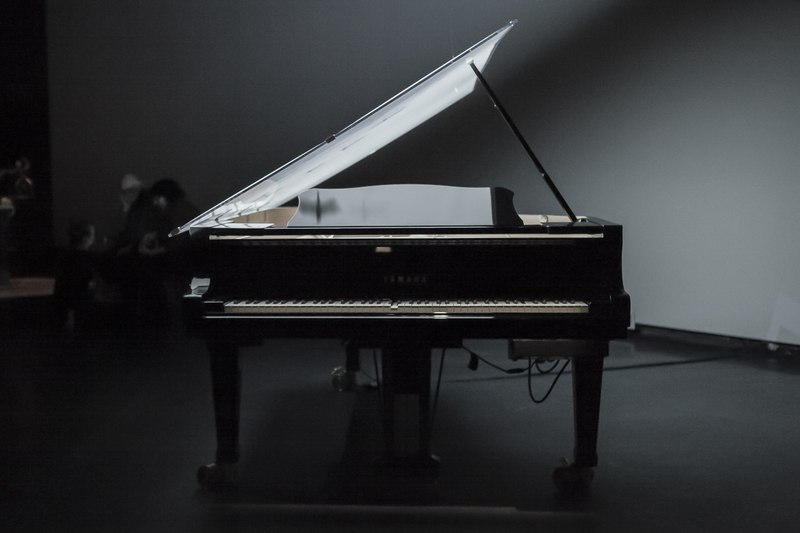 Ligne de flottaison transposes the frontier between sound and image using the metaphor of a float line dividing the immersion and the surface of a body of water. In Écluse, the double projection of a film in a time lag creates a spatial illusion. 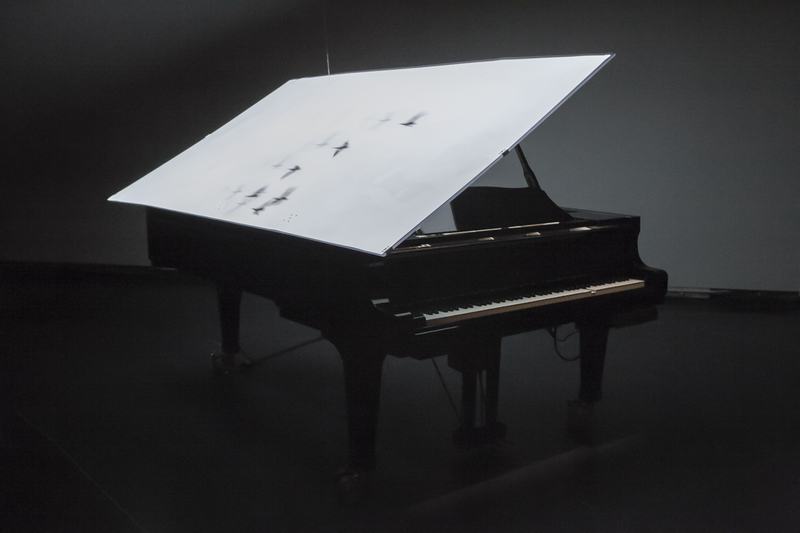 Le jeu de l’oie is firstly about the idea of a possible migration between image and sound, but also about underlining the traces of this migration ; what is transformed, lost or unaltered. 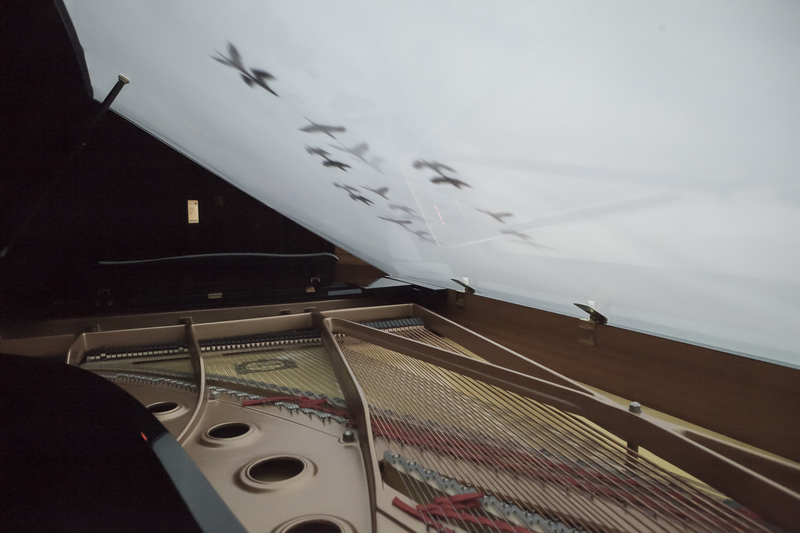 Created for Disklavier piano, computer and projection, this new installation synchronizes a series of patterns created by geese flying in formation across the sky during their migration with a harmonic and melodic layout automatically played on the piano. A transformation process sets the movement of this visual and sound matter. 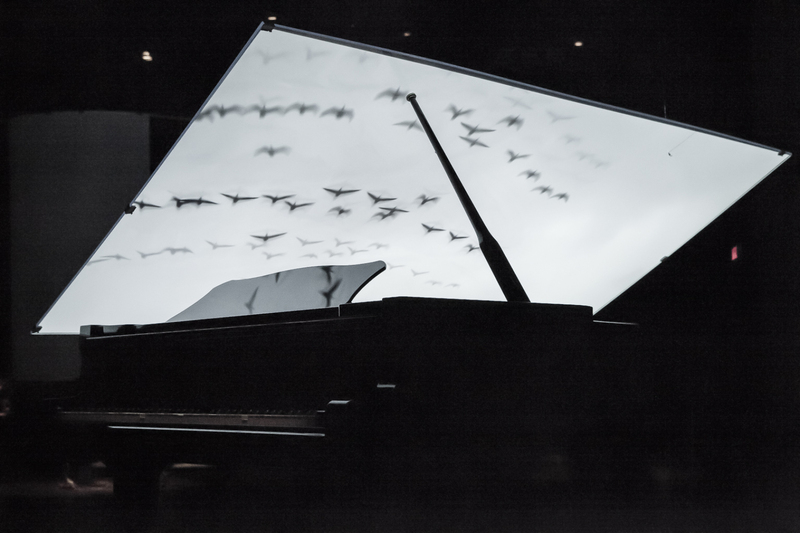 Created for Disklavier piano, computer and projection, this installation synchronizes a series of patterns created by geese flying in formation across the sky during their migration with a harmonic and melodic layout automatically played on the piano. 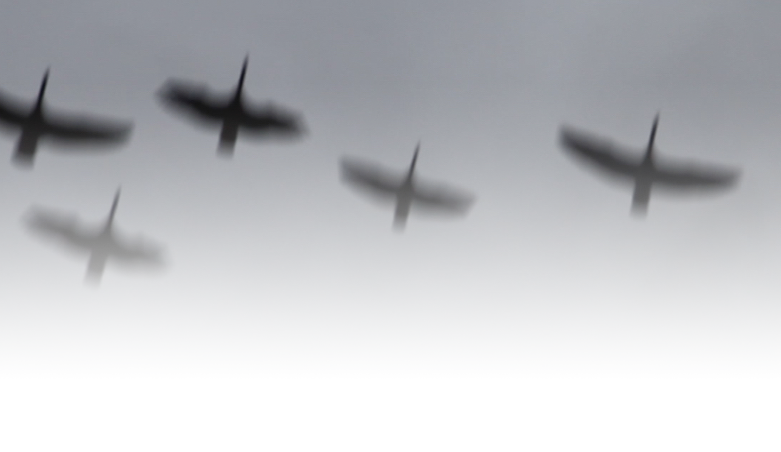 A transformation process sets the movement of this visual and sound matter.